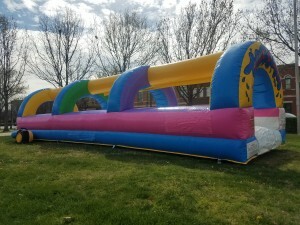 Rent Your Water Slide Today! 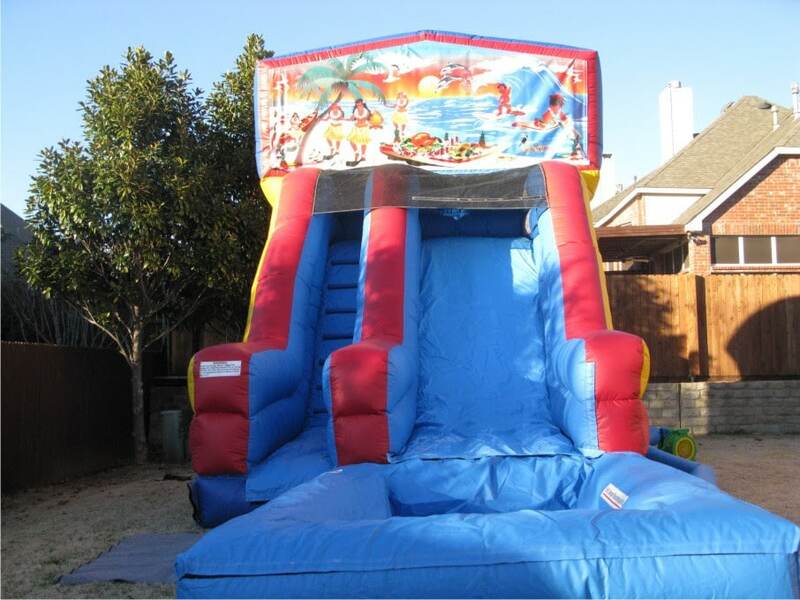 Here at Jump City Dallas we take slip and slides to a whole new meaning. We consider ourselves the Big Kahuna of water slides offering plenty of variety to fit anyone’s request. Why spend all that money at a busy water park when we can turn your back yard into your very own splash town. Try out any of our themes ranging from Fire N Ice to our Wipe Out Water Slide. You name it we got it! While living in Texas we know summer days can be very hot, our Tropical Double Lane Slip & Slide can be the perfect fit to help cool off your guest. 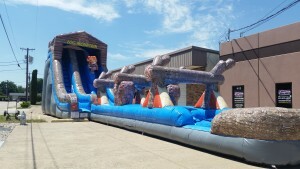 Or if you are feeling adventourous check out our 16ft Water Wave Slide.